Rupert Pupkin Speaks: Just The Pods Vol. 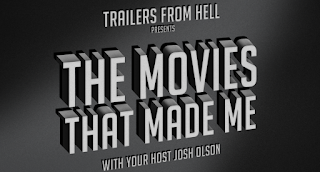 4 ""
Trailers From Hell is pleased to announce our new official podcast,The Movies That Made Me! 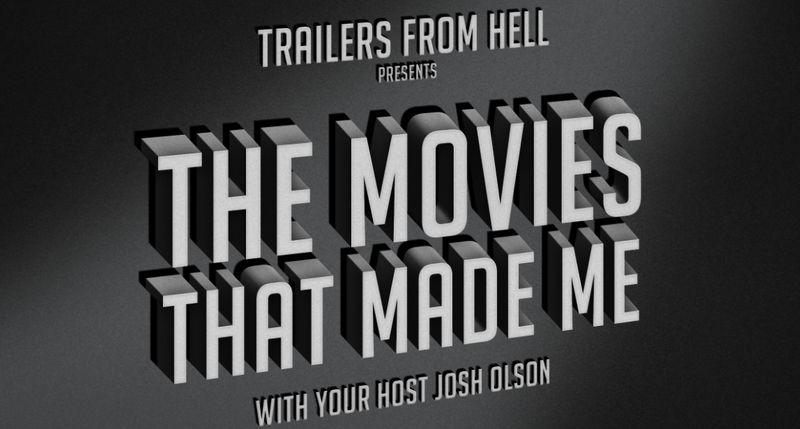 Host Josh Olson and Joe Dante talk to your favorite directors and writers about some of their favorite movies and moviemakers. On their premiere episode, Miguel Arteta, director of Nurse Jackie, Ugly Betty and Six Feet Under talks about some of his favorite directors including Russ Meyer! I still need to hear part one, but this second chat between Matt Gourley and Yeardley Smith was quite delightful. She talks THE LEGEND OF BILLIE JEAN, HERMAN'S HEAD and so much more including some films she auditioned for but didn't end up getting (GOONIES for example). If you aren't completely charmed by Yeardley by the end of this, you have no heart. Also, she swears a bit here and it's always amusing to hear the voice of Lisa Simpson cursing. Bill Ackerman (The Supporting Characters Podcast) returns with the second round of his BLUE VELVET-centric show to interview BLUE VELVET grip Joe D'Alessandro about the Lumberton sign, MAXIMUM OVERDRIVE, Prince and filming the insects that appear in the film’s opening sequence. "Marcus, do you like movies?" 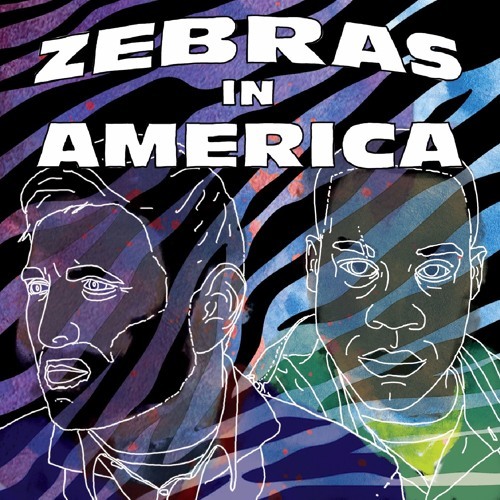 says Scott Thorough to his co-host Marcus Pinn to open every episode of this always enjoyable free flowing conversational podcast about film, music and popular culture. I love consistency on a podcast and these gents can always be relied upon to have a cool conversation about cinema and other things they fancy on each show. On this episode, Scott and Marcus are joined by Bill Scurry (of the I DON'T GET IT Podcast) and Carlo Pangalangan Labrador to do what they do which is like hanging out with some awesome people for an hour or so. Always fun stuff!